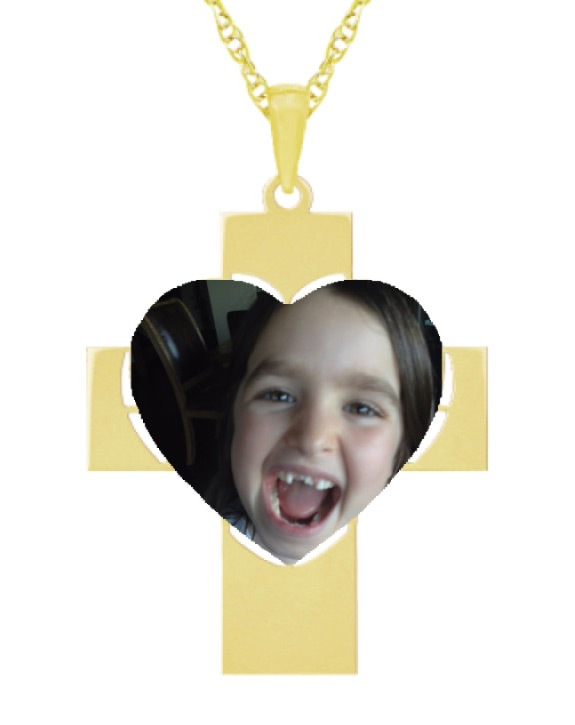 Your own personalized photo heart cross necklace of family and loved ones in your choice of 10k or 14k gold. The cross necklace measures approx. 1 1/3" tall x 1" wide and includes a matching gold chain in 18". After you place your order, you will receive an order confirmation via email. Simply respond with your picture and we will have a mock-up ready for you to view with your personalized photo within 1-business day for approval. 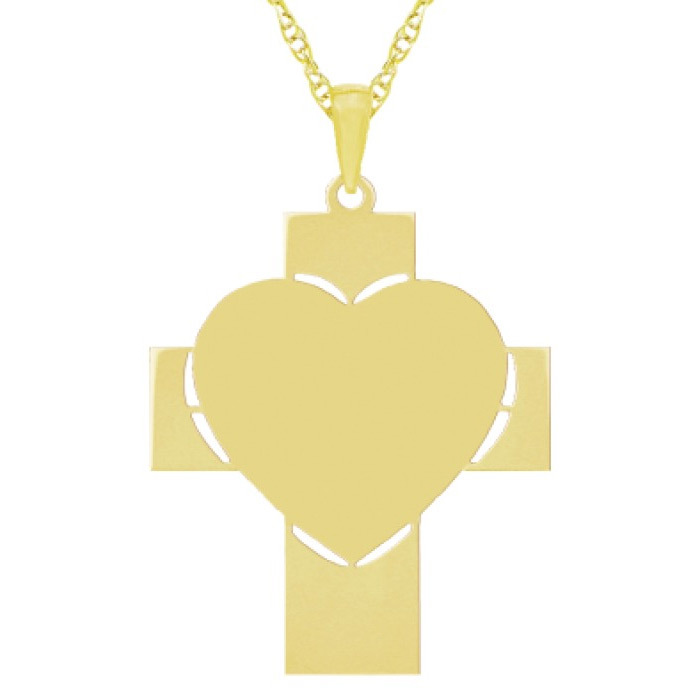 We guarantee our Photo Heart Cross Necklace in Gold to be high quality, authentic jewelry, as described above.